Having goals is very important. A life without goals is like shooting arrows without aiming at a target. You will most likely hit something, but it probably won’t be the target you had intended. There are two main types of goals: short-term and long-term. Martial arts training is a good example of the difference between short- and long-term goals. A long-term goal might be earning your Black Belt, which could take from three to five years or even longer, depending on your progress. If you only set this goal, then you might become discouraged and give up. Focusing on short-time goals, however, may be a better way to reach your long-term goals. A short-term goal could be earning your next colored belt, which only requires a few short months of training. When you focus on and achieve your short-term goals, then your long-term goal of Black Belt won’t seem as difficult. You can apply the same process of setting short- and long-term goals to improve your school grades, complete your chores, control your diet and train harder, etc. To make sure you follow through on your goals, write them on a paper. It also helps to share goals with a supportive person, such as a parent, teacher or good friend, who can help through the rough spots. The first step is to decide what goal you want to achieve. Next, you must determine your starting point. For example, you may be receiving C’s in school, but your goal is to earn straight A’s at school, so that’s your starting point. To improve from C’s to A’s won’t be easy, so you must first set some short-term goals. Some short-term goals you could set are to concentrate on one or two subjects at a time or first improve from B’s and then to A’s. You could devote one additional hour more per day to study. You could attend extra classes. Another example: Your long-term goal is to achieve a healthy weight by losing 50 pounds, which is your starting point. Two short-term goals could be to lose 5% of your body weight during a specific period of time and to increase your exercise by a half-hour four days a week. Here’s an important tip. Whenever you achieve one of your short-term goals, be proud of yourself, celebrate and enjoy it. That will keep you motivated and working toward your next short-term goal, and eventually help you reach your long-term goals as. 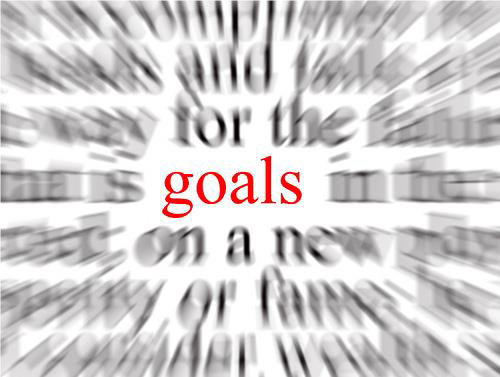 Now, repeat after me: “Goals We Set Are Goals We Get!” Fantastic! If you are looking for a martial arts school that promotes goal setting a accomplishing at a Black Belt Level, then we may be a good fit for you! Give us a call right now at 757-410-4999 to find out how you can get started in one of our incredible programs today! Join the fun at King Tiger Martial Arts where you’ll experience expert training in a fun, positive and supportive environment suitable for everyone in your family. Or simply fill out the information box and take advantage of our Trial Membership!